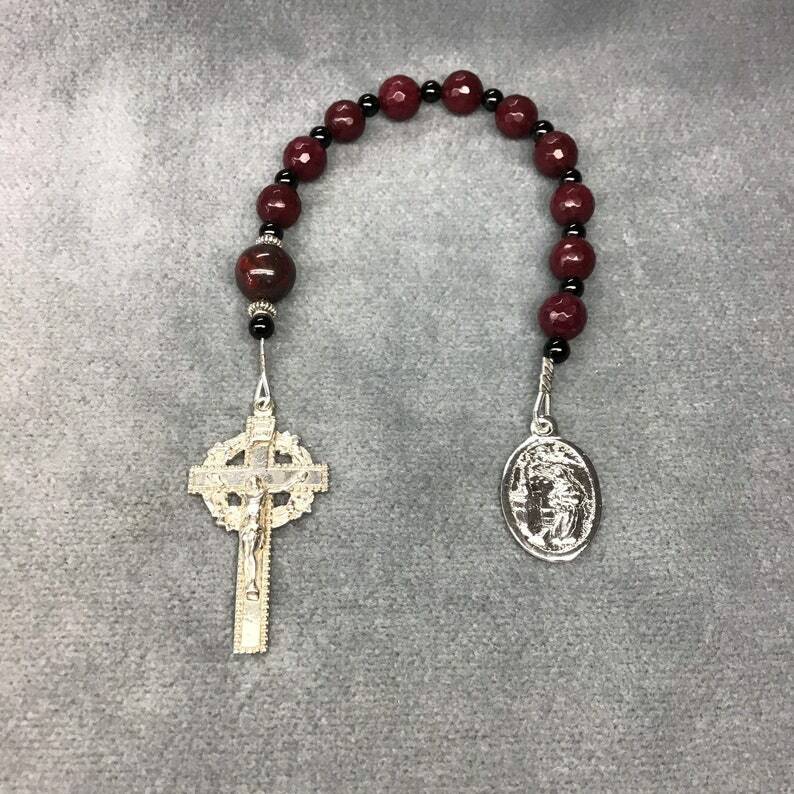 Offering a classic ‘tenner’ Rosary Chaplet in Silver Plate, Cranberry Jade, and Onyx. 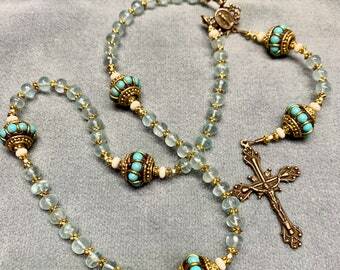 The 10 Hail Marys and larger Our Father are separated by small Onyx rounds. 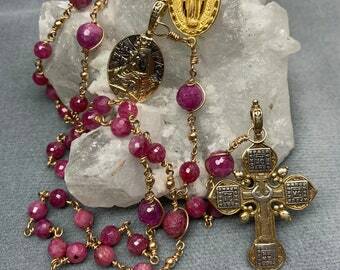 The simple Crucifix is wreathed with flowers, and the medal is of St Rita, Patron Saint of troubled marriages, and a great peacemaker. 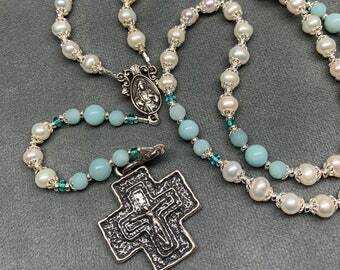 8MM Hail Marys and a 10mm Our Father are slightly larger than traditional size. 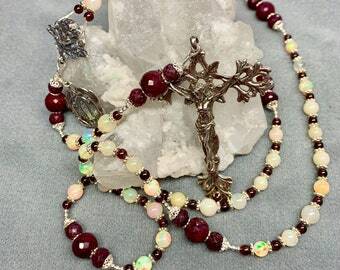 They make a Chaplet that’s smooth and prays well-- and it has a pleasing feel in the hand. Life is tough — PRAY HARD,!